Posted By:@AVGJOhanna | At:9:20 AM Be the first to comment! If you haven't heard about the powerful and inspirational story of how three brothas from Newark, NJ made a pact to go to college and become doctors, I would encourage you to check out their story. They share their story in the best selling book, The Pact. 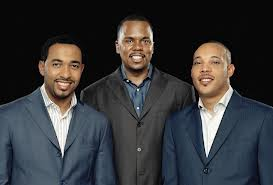 The three men, Dr. Sampson Davis, Dr. George Jenkins, and Dr. Rameck Hunt, are practicing medicine in their hometown of Newark and their foundation is in the running to win $30,000 in the 2012 Aetna Voices of Health Competition.